I created this cake for a teacher theme Baby Shower. 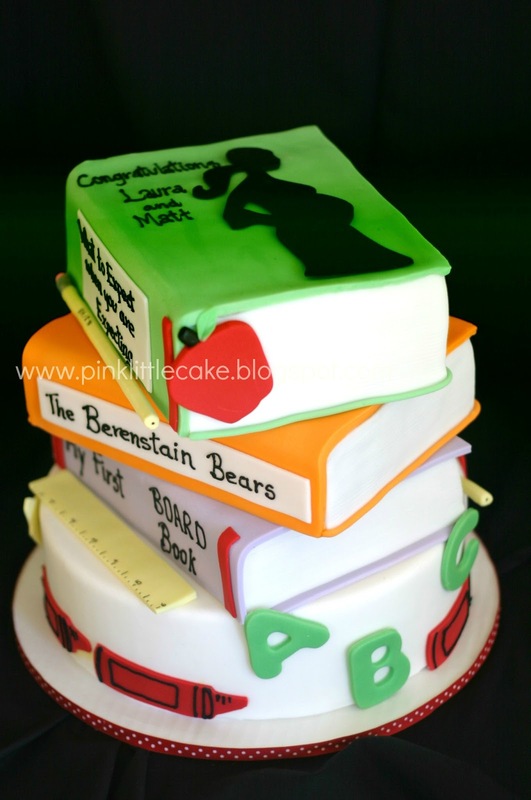 Three stacks of books one of top of each other make the cake very tall. Decorations are made handmade and included a ruler,crayons, apple, pencils and sugar letters.